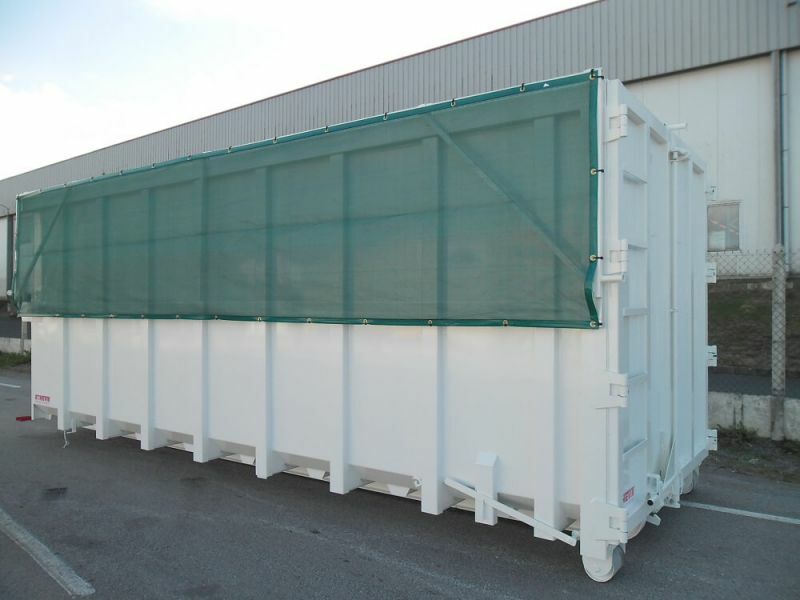 The range covers THIEVIN' tarpaulin and nets for boxes and dumpsters Amliroll allows you to meet your needs of storage and transport safely by setting out your goods. 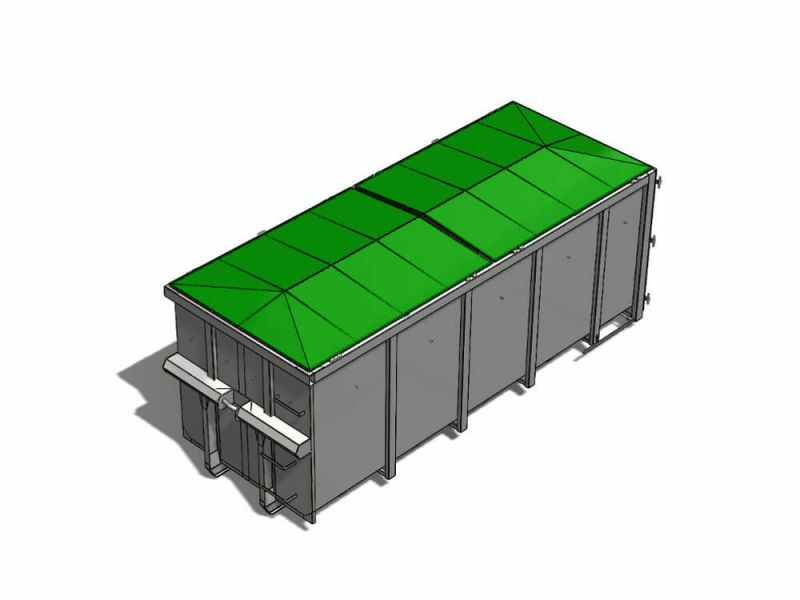 Robustness and reliability will thus characterize your waste materials. 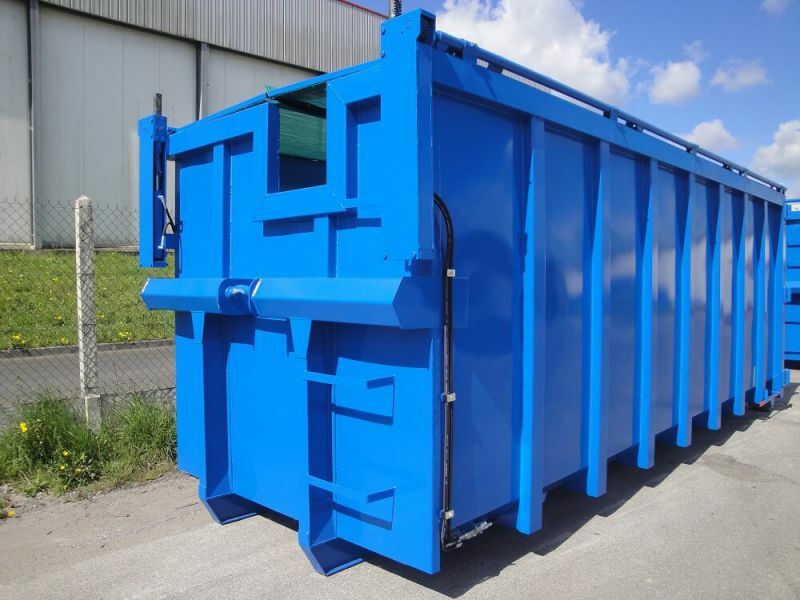 Society THIEVIN' offers boxes and dumpsters multi-lift reinforced with tarpaulin to rule, that is equipped with a tarp with a ridge to cover the box and with a total opening, most often from the left to the right. 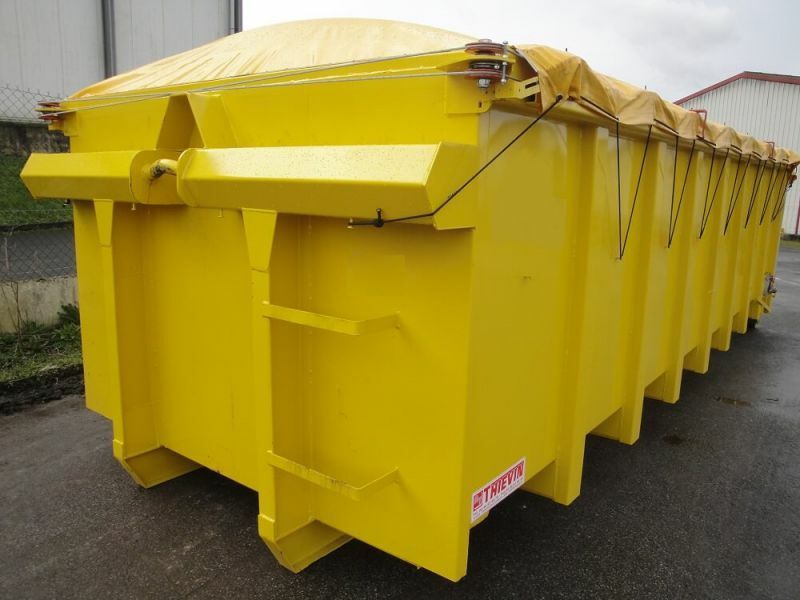 This type of subwoofer and dumpster multi-lift belongs to the family of the caissons and dumpsters multi-lift covered society THIEVIN' and stands by the speed of its implementation and its system of opening / closing. 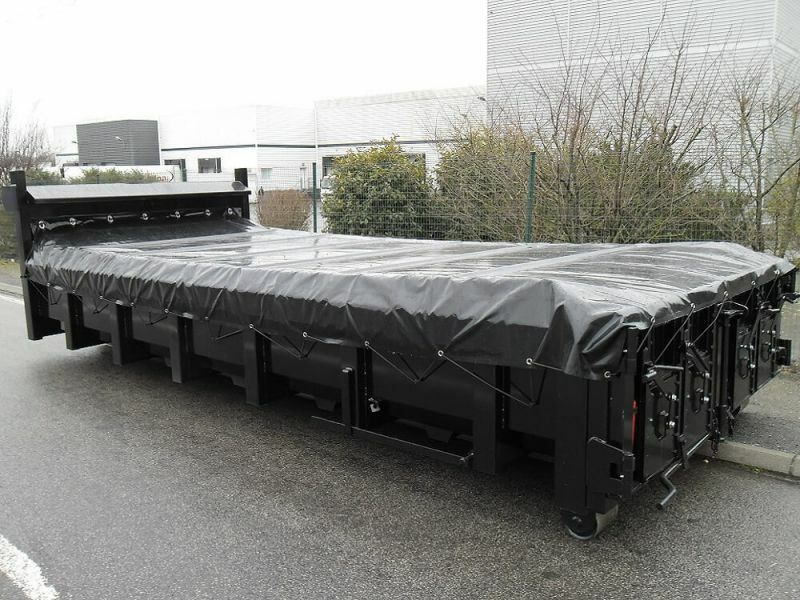 Cramaro tarps for subwoofer and dumpster multi-lift have been studied and designed to meet the specific coverage requirements of the vehicles transporting waste. It is a box with a frame covered covering it in half lengthwise, with possibility ofopening left or right. Working according to a limited height, it is commonly used in the storage of the folded cartons. 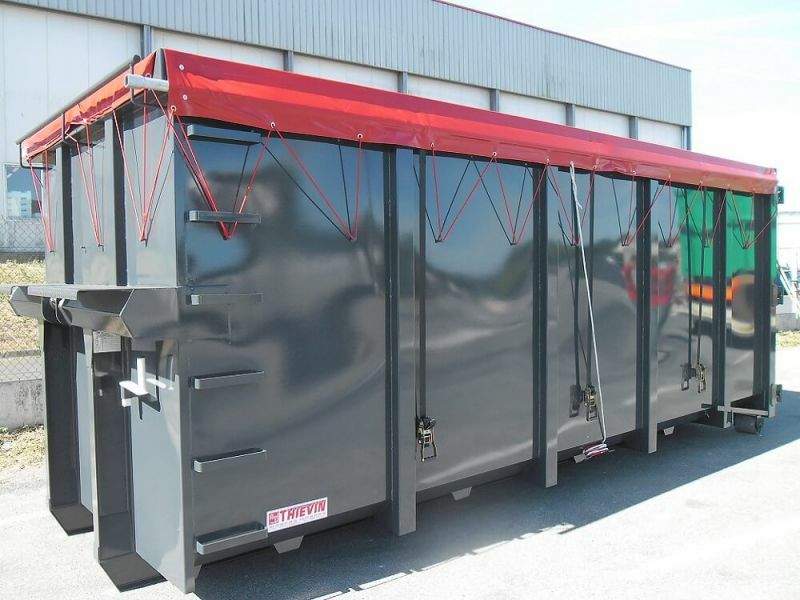 This range of boxes and multi-lift trucks with hydraulic opening has a skirt net covering it by half on the width. The system is assisted by 2 hydraulic boxes present on the face front of the subwoofer. The connection is done through flexible far to the rear of the subwoofer. 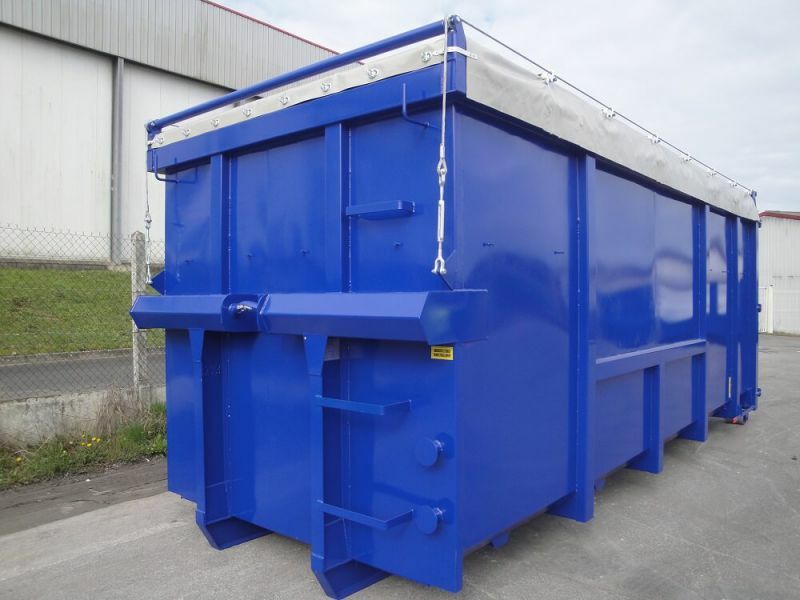 This range of boxes and dumpsters multi-lift is equipped with a 1/2 frame net covering them by half the width and manual opening with a cane on the side. Its advantage over the 1/2 frame hydraulic NET lies in the fact that it does not reload, which makes it independent and constantly operational.